Since new spinners are available in the designated hoods. The laurell spinner is now used for non-standard materials coating such as PDMS etc. After a substrate is loaded on to the chuck, vacuum hold-down is engaged from the side mounted control panel and the lid closed, a preprogrammed process is selected and initiated. When in program mode (with safety interlocks satisfied), any step can be viewed, changed, or activated. When the spin is completed "END" is displayed and must be cleared by opening the door (presumably to change substrates) or changing programs. This can be bypassed for running the same process twice. 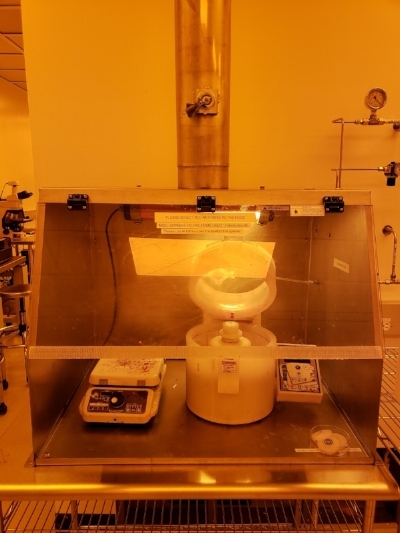 For additional information about the Laurell Spin Coater, please contact Dr. Jen Yu at jy2488@columbia.edu or email the clean room staff at cnicleanroom@columbia.edu.